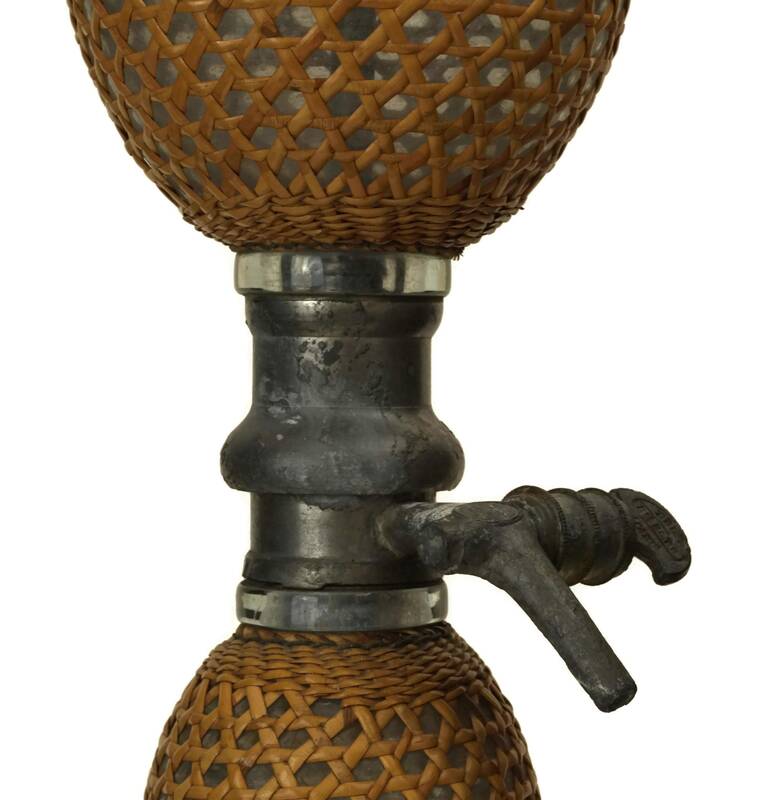 Antique Soda Seltzer Siphon Bottle by Briet with Woven Cane Covering, French Porcelain and Glass, Home Bar and Man Cave Decor. 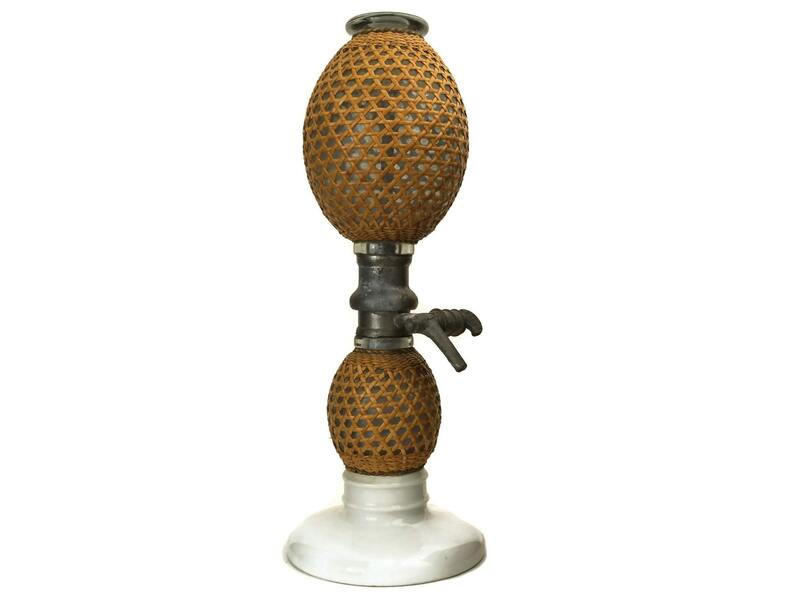 A magnificent antique soda seltzer siphon bottle manufactured in France during the late 1800's. 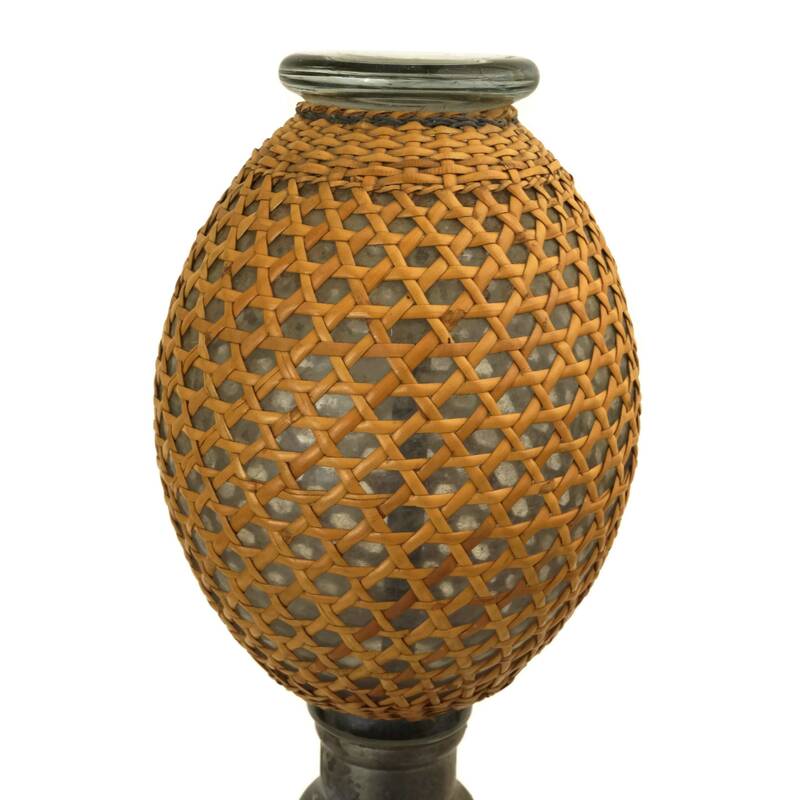 The large glass bottle features 2 sections that have been covered in woven cane and it rests on a glazed porcelain base. 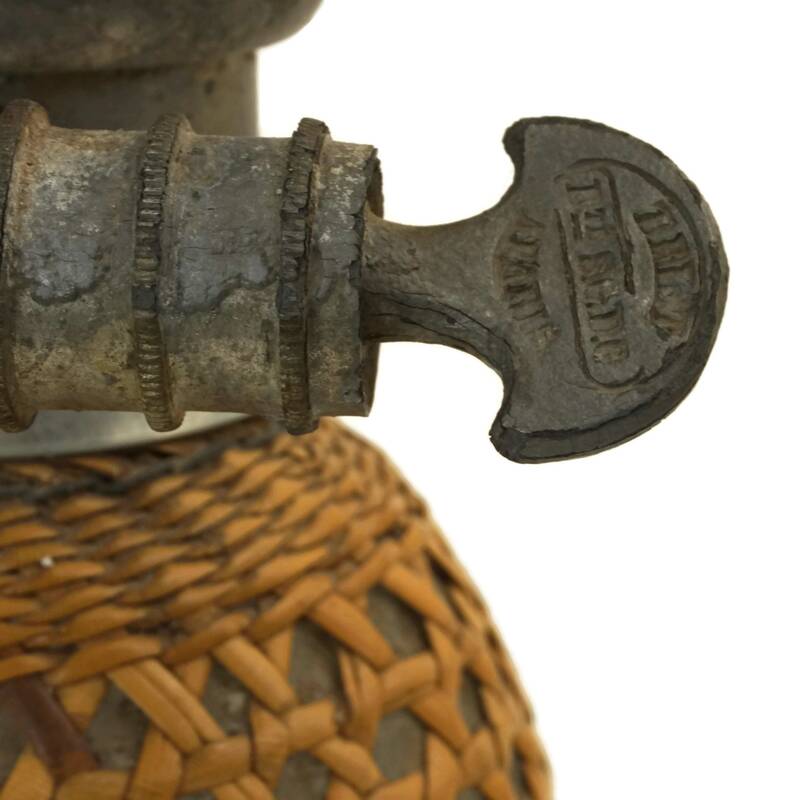 The bar counter bottle has its original internal water tube as well as a pewter metal joint and tap that has been stamped with the Briet company brand name. 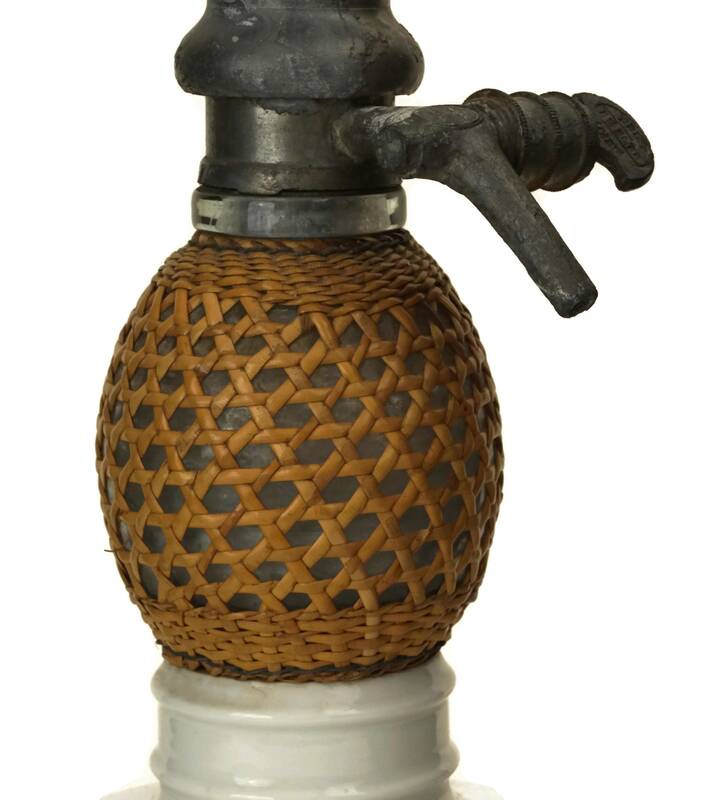 The seltzer bottle is a large and heavy item and is certain to add a unique decor touch to your home bar or man cave. 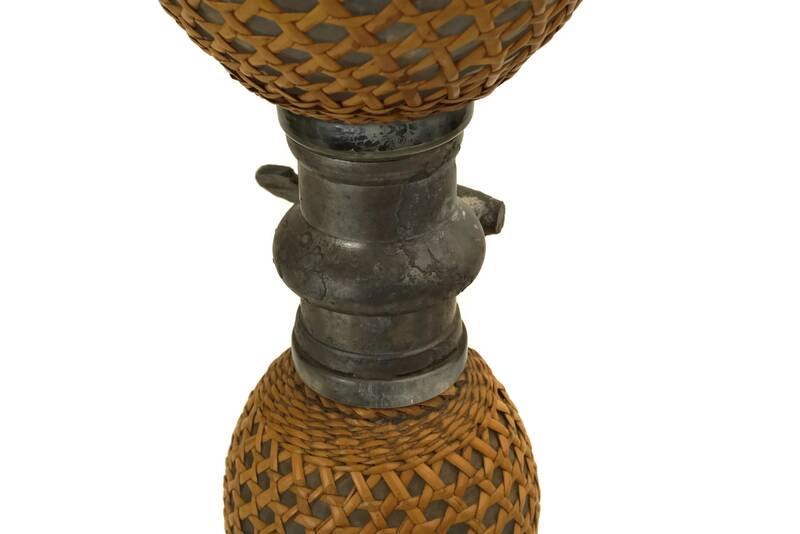 (44.5 cm x 11 cm). 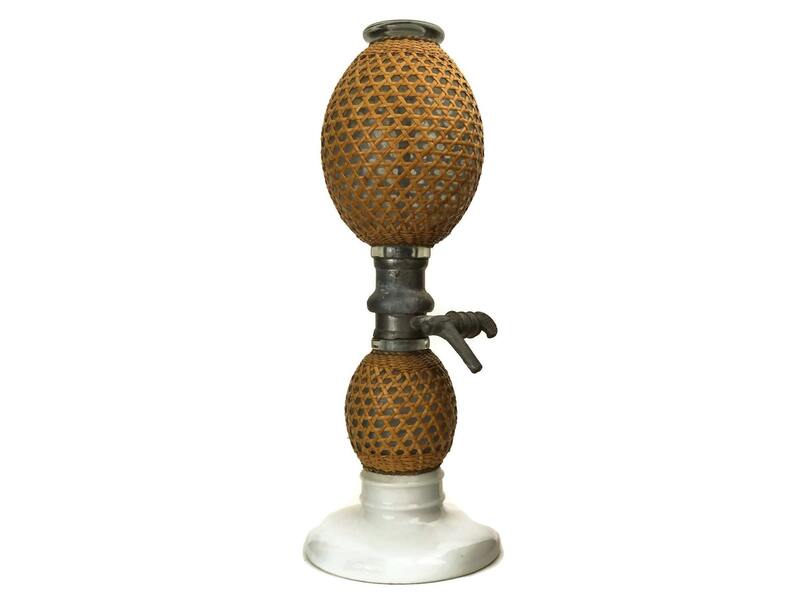 The antique French glass soda siphon is in very good condition with some wear including surface marks and patina. 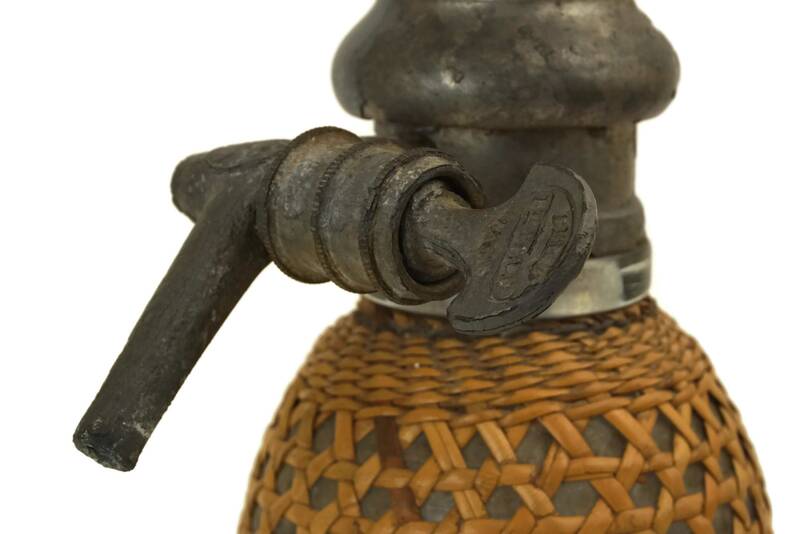 Th metal joint and tap are very tightly sealed and can not be opened. 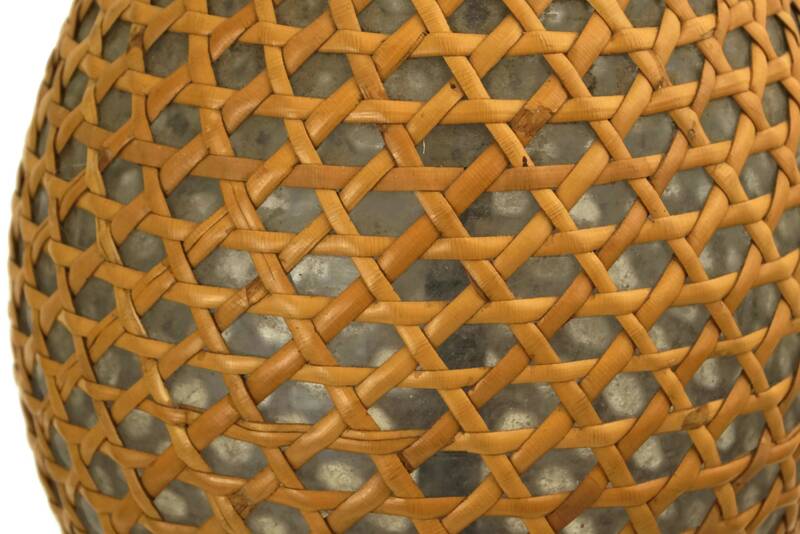 There are no chips or cracks to the glass or porcelain. 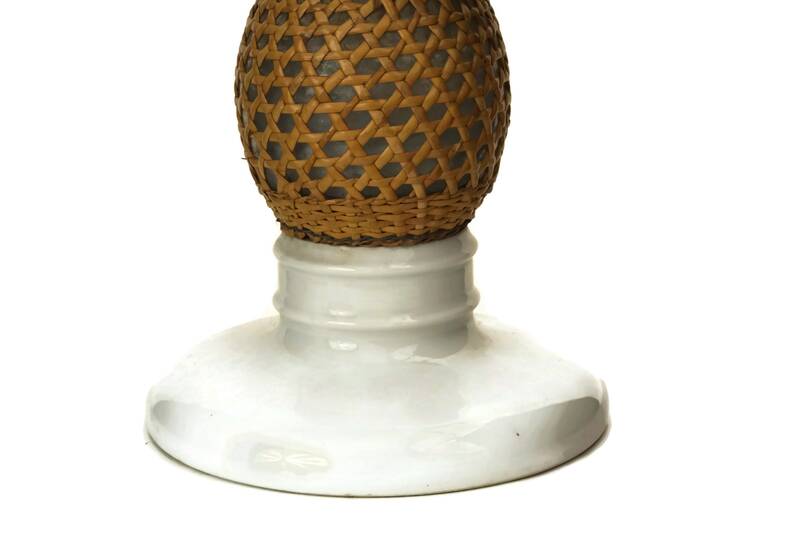 Item ref: Antique Soda Seltzer Siphon Bottle with Woven Cane Covering, French Porcelain and Glass, Home Bar and Man Cave Decor.